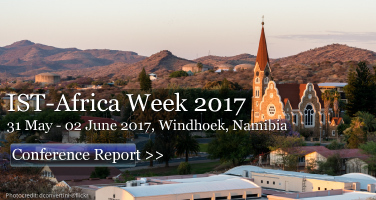 Hosted by the Government of Namibia through the National Commission on Research, Science and Technology, and Supported by the European Commission and African Union Commission, IST-Africa Week 2017 (30 May - 02 June) is the twelfth in an annual series of Ministerial Level Technology Research Conferences. The Final Programme features an Opening and Closing Plenary Session and a Scientific Programme with 40 thematically focused sessions featuring over 190 presenters from public, private, education and research organisations in 35 countries. 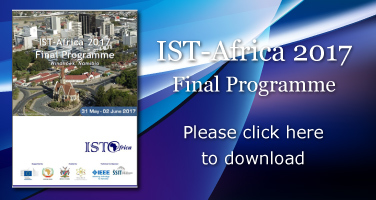 Click here to download the Final Programme brochure. 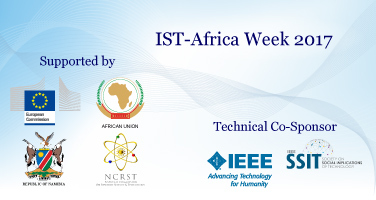 IST-Africa is cooperating with IEEE to organise the first IEEE Experts in Technology and Policy (ETAP) Forum on Internet Governance, Cybersecurity, Privacy and Inclusion to take place in Africa as the pre-conference event on Tuesday 30 May. This pre-conference workshop is designed to bring together technology developers and policy makers to debate current and future Internet governance, cybersecurity and privacy issues across the African continent. followed by active group work around specific topics and feedback to the full group.